Managed IT has its roots in the 1980s, which saw a deal between Eastman Kodak and IBM that would create a large data center for Kodak’s needs. IBM’s role in this endeavor was to design, build, and implement a data center specifically for Kodak. This is a significant moment in the history of IT outsourcing specifically because it’s one of the first times that a company outsources a project of this scale to an external provider. During the implementation of this project, it’s said that Kodak transferred many of their staffers directly to IBM--and if such a major figure can do something like this, the industry would take notice and grow in an entirely different direction because of it. Where companies preferred to keep their services in-house whenever possible, they now sought to find value in the service of other organizations. IBM became a major service provider for its time and ushered in an era unlike anything ever seen before in the business technology environment. Eventually, application service providers called ASPs were brought to the forefront in response to businesses’ evolving software and service needs. Examples of such software solutions include payroll software or timesheet keeping solutions, while others include productivity suites such as Microsoft’s coveted word processing and spreadsheet solutions like Microsoft Word and Excel. Sometimes these services were offered through a download by the user, while other times they were accessed through an online interface. Regardless, the end result was the same--the business acquired a solution that solved a very specific need. 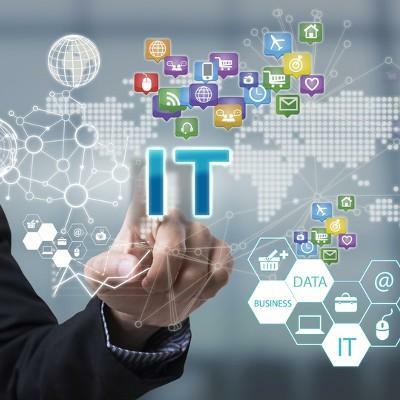 The need for professional technology assistance gave way too many organizations offering what are called managed IT solutions. This was due largely in part to break-fix IT being such an inconvenience for small businesses due to restrained budgets and a general inability to manage IT as effectively as can be. Often times, companies would have their own employees perform IT responsibilities in an attempt to save some money. This could have unforeseen circumstances, including responsibilities not being performed adequately, forcing companies to undergo the same project multiple times (and losing money each time). Managed IT solves these problems by providing a single point of contact for the various needs of your company. Cloud computing, network security, data backup and disaster recovery, you name it--if you can think it, it can be outsourced for your company’s IT infrastructure. To learn more about what a managed IT service provider like White Mountain IT Services can provide for your organization, reach out to us at 603-889-0800.